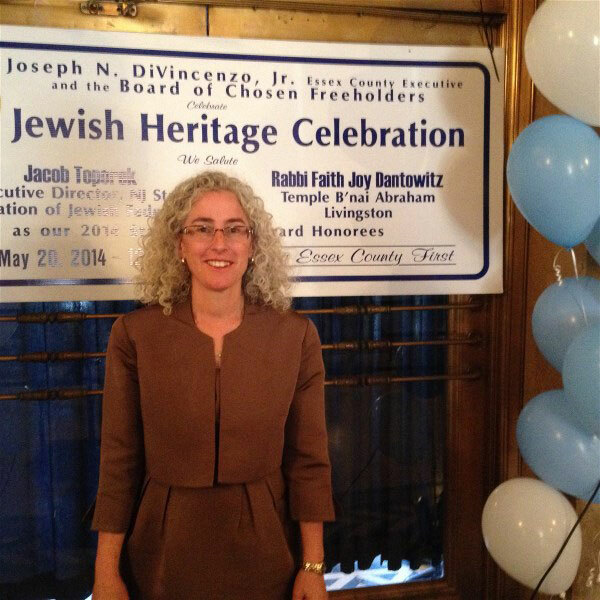 The Essex County Jewish Heritage Celebration is part of a yearlong series of programs initiated by County Executive DiVincenzo to recognize and celebrate the diversity of Essex County. Thank you very much to County Executive Joe Divincenzo for this award and to Freeholder Patricia Sebold for thinking of me. 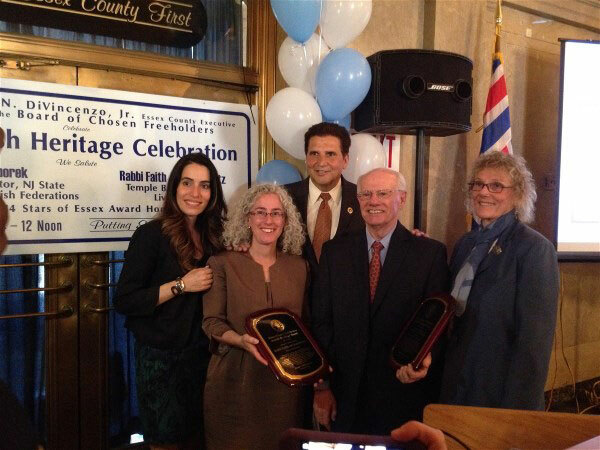 I am honored to be counted among those who strive to make a difference in Essex County. We Essex County residents are blessed to have the South Mountain Reservation in our backyard. It’s a place where individuals and communities can experience the glory of God’s creation. I enjoy taking my dog for walks there (and so does she). Members of my synagogue have enjoyed hikes together there, pausing to notice the beauty. This week we read in the Torah in synagogues throughout Essex County and around the world a portion called Bamidbar in Hebrew and Numbers in English. Bamidbar literally means in the wilderness. It begins with a census of the Israelites. Each person counts. Each of us has a responsibility to ourselves, our communities, locally and globally. We are ALL citizens of the world. This past year, Marriage Equality became a reality New Jersey. When marriages began October 21, 2013, I felt my heart pounding in my chest. It was a powerful moment to remember. To aid in this change I have stood at rallies, spoken in Essex County and testified at State hearings as a proponent for this right. I have been a strong supporter for marriage equality and equal rights all of my life. 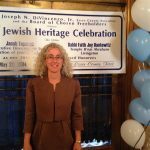 I also honored my sister’s memory, Deborah Sue Maheshi Smith, z”l, as she too was passionate about this cause. I’ve lived in Essex County almost all of my life. 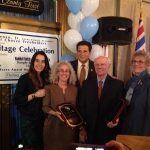 My parents modeled synagogue and community involvement and my father and step-mother continue to today. Raising four sons, my husband David and I aim to instill the Jewish and universal values of making the world a better place. This may involve a bake sale, a fundraiser, performing for special needs children or making phone calls for a campaign; it always involves tikun olam—healing our world. 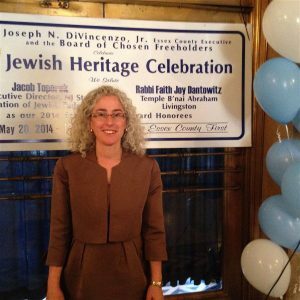 I am honored to serve as a rabbi at Temple B’nai Abraham in Livingston where I am lucky to work with many families who do so much to make this world a better place. Bamidbar, wilderness, can also connote a lack of stability and wildness. 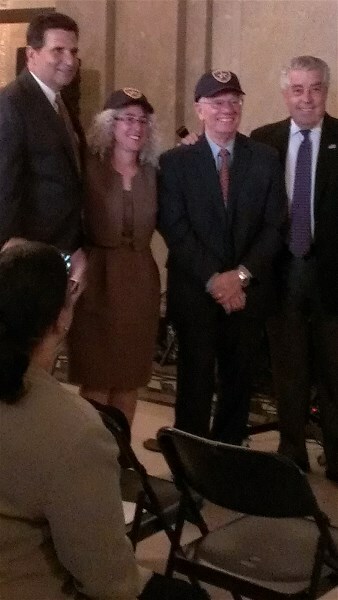 For the past year, I’ve been active with New Jersey Together’s Do Not Stand Idly By campaign against gun violence. Here in Newark, in Livingston, and also where I live in Millburn, gun violence persists. 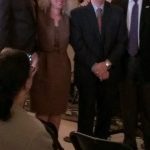 NJ Together’s strategy is smart and focuses on the people with power. Gun manufacturers and taxpayers who purchase 40% of the guns. In the middle of the wilderness, Bamidbar—are the letters dalet vet resh which can be pronounced, daber—-to speak—to speak out. I’m honored to live and work in a community where I can speak out and take action with others, in our diverse area, to help the world to heal. I understand the power of standing up for justice and am grateful for the work of all in office and fellow citizens who strive each day to improve the quality of life in our community and the larger global community as well. Bamidbar, in the wilderness, when we take a moment to pause and enter the Reservation, to be mindful and notice the flowers blooming, we are reminded of the sacred beauty of our world, our county and are inspired to work even harder to secure the present and future.